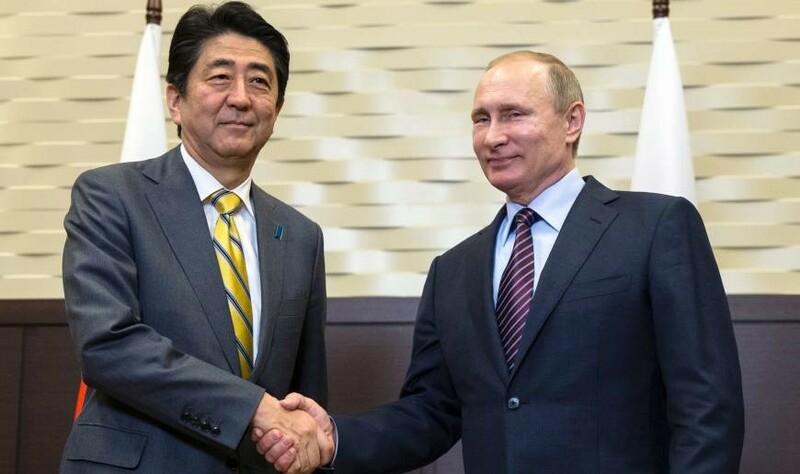 Putin and Abe Encourage Reticence in the Korean Conflict. In the Korean conflict it may not come to a new confrontation, Russian President Vladimir Putin said Saturday during a meeting with Japanese Prime Minister Shinzo Abe in Moscow, reports The English News. An atmosphere of peace must be maintained in the region, Putin said according to news agency TASS. Russia maintains good diplomatic contacts with North Korea. The North Korean nuclear weapons program threatens Japan. Abe urged North Korea to complete and verifiable denuclearisation. “Russia and Japan will maintain close contacts so that North Korea moves in the right direction,” said the Japanese prime minister. Over the ex- few days, US President Donald Trump has been worried by his changeable course in his policy towards North Korea. First, he had cancelled the long-awaited summit with the North Korean leader Kim Jong Un, and not much later he did not rule out the meeting. For the time being, the coffee grounds will see if the top is still feasible. Putin and Abe also discussed possible steps to settle the dispute over the southern Kuril Islands. Russia had occupied the Pacific archipelago during the Second World War. Japan demands that the archipelago is returned. The argument is why Moscow and Tokyo have not signed a peace treaty since the Second World War.